How excited are آپ about the movie? چنیں پرستار: SOOOO EXCITED! Can't wait!! چنیں پرستار: 9-10 It was P.E.R.F.E.C.T. Do آپ like the cast for the movie? چنیں پرستار: Yes! They're perfect! Have آپ seen the movie? what do آپ think? This a debate! Which book do آپ think will make the BEST MOVIE?! Tell why! Who thinks the movie will be twice as good as the book? Do آپ guys think as will makes the other کتابیں into movies? - Friday January 31 : Sami Gayle will be a guest سٹار, ستارہ on the CBS دکھائیں ” The Talk” at 2 pm ET. The Zvezda mark (Russian звезда for star) is a tattoo that is دیا when the bearer has been in a battle and killed too many Strigoi to count. Rose Hathaway gets her zvezda mark after the battle at the Academy in Shadow Kiss. Yeva Belikova is a dhampir and the mother of Olena Belikova. 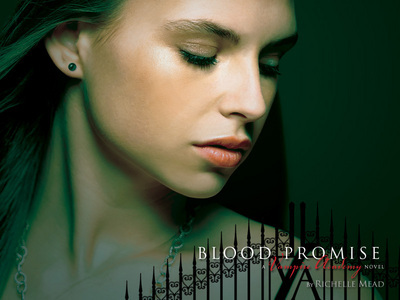 She was Guardian for some time, but returned ہوم to raise her family, as she believes all dhampir women should. She is the maternal grandmother of Karolina, Dimitri, Sonja and Viktoria Belikov(a), and the great grandmother of Paul and Zoya Belikov(a) and Sonja's newborn baby. a comment was made to the poll: How excited are آپ about the movie? Who said: "I could do it quickly. There'd be no pain. It'd be done before آپ even knew it."